A lightweight easy-storage scooter with a one-push folding system for covering short distances. 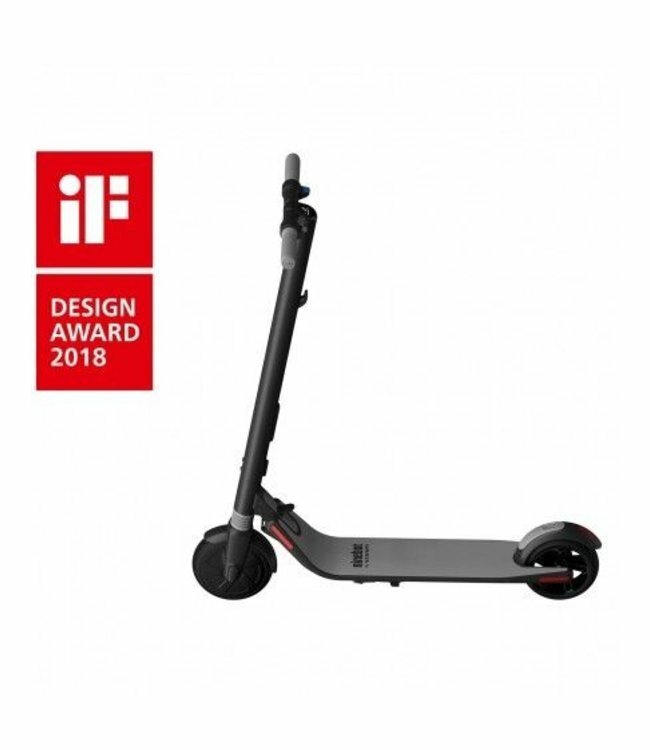 The Ninebot by Segway KickScooter ES1 is the lightest of the serie (11.3 kg) and with the one-push folding system it can be stored easily in a car or on public transport. The front wheel shock absorption and large diameter provide high-level rider comfort, and the anti-lock mechanical and electrical brake ensure a safe braking distance. The led display shows driving speed, Bluetooth connection, power mode and battery level. The ES1 has no visible cables which makes it look aesthetic. It comes with a build in 187Wh battery that allows you to ride up to 20 km/h and has a maximum range of 25 km. With an optional second battery (seperate accessory) the range can be expanded up to 45 km and you can speed up till 25 km/h. The reflector ensures safety in low light conditions.